In the aftermath of multiple attacks on African nationals over the last one week, a taxi driver in Delhi has filed a police complaint, saying he was beaten up African nationals after he refused to take on board more than passengers. 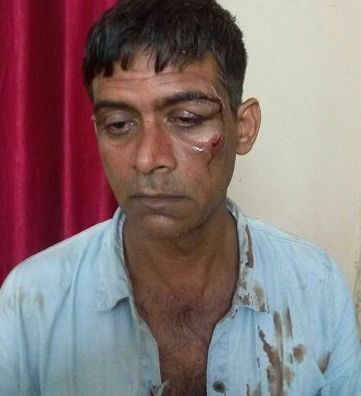 The incident took place at around 4 am on Monday when Nuruddin, an Ola cab driver, was thrashed by six people, including two women of African origin, after he refused to carry more than four passengers in his vehicle. As per the driver, the taxi No DL1YE5087 was booked through Ola to go from Rajpur to Dwarka. The driver, who sustained injuries on his face in the altercation, is presently being treated at the AIIMS Trauma Centre. The Delhi Police has filed a complaint against the African nationals for assaulting a Taxi driver early morning today. The incident comes after six African nationals were attacked in Mehrauli area last week allegedly with cricket bats and sticks. Earlier, a Nigerian student in Hyderabad was beaten up by the local residents during a spat over parking space. Earlier this month, 23-year-old Congolese national Masonda Ketada Olivier was beaten to death after a verbal altercation over the hiring of an auto-rickshaw in Vasant Kunj area of south Delhi. The Congress party's Rahul problem!